I’m returning to metal detecting after an absence of several years. I first started metal detecting about eight years ago beginning with a Minelab X-Terra 505 which I later replaced with a 705. There was much about this hobby that I enjoyed but it also had its drawbacks. So one winter I gave it up and sold the kit on eBay. Years later, I don’t regret that decision but now I feel the urge to return to it. This is partly due to the improvements in technology, but it also has to do with the fact that my occupation involves long hours at a desk and I need to get out into the countryside more often. 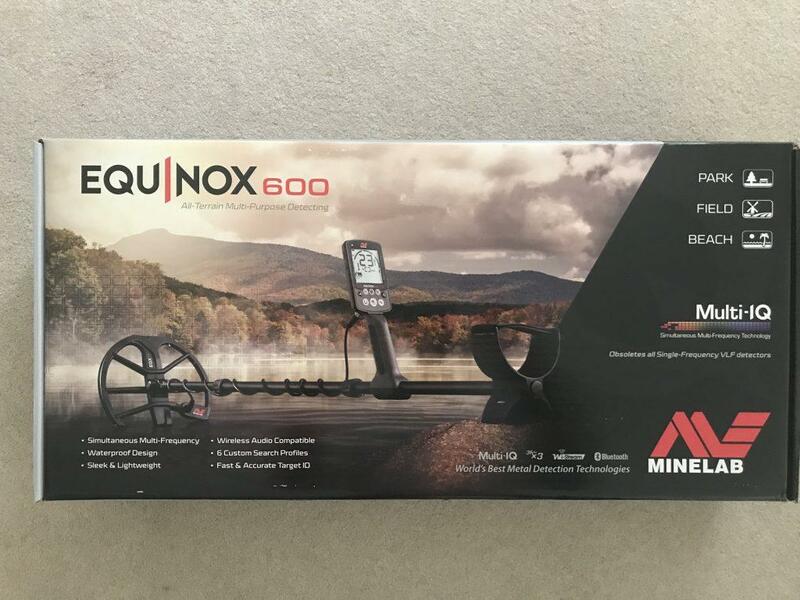 So I’ve started again and this time I’ll be using a Minelab Equinox 600. There are many advantages to metal detecting, and a few drawbacks. I’ve added my list below. Perhaps you have some other points you would add to either or both lists. Physical health. It may not be strenuous when you’re actually detecting i.e. slowly walking across the field, but the walk to the site, the digging, the bending down to examine the soil etc, all combine to create gentle exercise in the fresh air. Mental and emotional health. Like all outdoor activity there are lots of pleasant effects from being in comparatively natural environments. OK, so a ploughed field filled with artificial fertilisers isn’t exactly prime rain forest but it’s closer to nature that your office desk. Beach detecting is very therapeutic, even on a wet and windy February morning. The excitement of finds. It can be quite exciting to handle something that has remained lost since the owner dropped it several decades, hundreds of years ago, or even one or two millenia ago. It might be something mundane like a thimble that a farm worker used to repair his clothes in the field 150 years ago. It could be a 90 year old, or a 900 year old coin. It might be the buckle from an 18th Century shoe. It will feed your imagination and put you in touch with people who are long gone but may be remembered through your discoveries. Increased knowledge of history. As your hobby progresses your knowledge will increase. Part of the process is researching the land, and naturally this involves pouring over maps and learning about the landscape’s past uses and occupiers. It also involves learning how to identify finds of various kinds, and that can also require a certain amount of research and detective work. Your knowledge of coins, coin manufacturer, and British monarchs, and Roman emperors will probably increase quite rapidly, if your success rate with detecting is high. Access to private land. Whether you’ve secured permission to detect on private land yourself, or you’ve joined a club and you’re out in the field on a dig, there are times when you can simply enjoy the view that you would not otherwise be able to see. Meeting new people. You may have taken up metal detecting in order to get away from people, in which case you probably detect alone or with a detecting buddy. On the other hand, you might look forward to meeting new people. There are county clubs all over the UK and here are also clubs which cover larger areas. As well as day long detecting, both types may arrange metal detecting rallies covering a weekend or longer. I once went to a rally on the Ridgeway organised by the Weekend Wanderers club. There were stalls, food, beer, and trade stands on site, and several large fields in which the attendants fanned out to detect. Helping archaeologists and historians. By reporting your finds to the Portable Antiquities Scheme you’ll be helping to advance the knowledge of history and archaeology in the country. It’s just possible that you’ll find a previously unknown settlement site, or a clue to an unsolved mystery. Visit their website and add the contact details of your local Finds Liaison Officer (FLO) so that you can give them a call if you turn up something. Helping to reunite lost property with its owners. Imagine losing your engagement or wedding ring in your garden or on the beach. Despite frantic searching you fail to find it and you’re very upset. Then you remember someone talking about a local metal detectorist and after a few phone calls he’s out there looking for it with his detector. Imagine the relief if he found it. Such hypothetical situations do become real. Conscientious beach detectorists who hand any jewelry into the local Police station have reunited lost lockets and other items with their owners. They may not be valuable items but they often have a great sentimental value. Helping others in this way is a reward in itself. 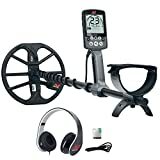 Now that I’ve listed what I regard as the main benefits of metal detecting let’s look at the disadvantages. Disappointment. Like those who enjoy fishing, detectorists will have days when they have nothing to show for their efforts. However, the difference between fishing and detectoring is that, with fishing, you simply don’t get a bite and you return home having sat on the bank for a few hours. With metal detecting, you might get lots of signals and go to all the physical effort of digging up the target only to find it’s a piece of worthless trash. Digging holes in the drizzle isn’t much fun if all you find is ring-pulls and bottle caps. Frustration. When I first started I sent many dozens of carefully written letters requesting permission to detect on their land. I always enclosed an agreement form, a code of conduct, and a stamped and addressed envelope. The vast majority did not respond despite the s.a.e. and of those that did very few gave permission. It’s especially frustrating when you are denied access to areas that you have identified as being probably rich in potential through research. It’s a bit nerdy. Not everyone will agree with this one but I think the image of metal detecting puts it somewhere on the league table of nerdiness. I can’t quite put my finger on the reason. Perhaps you can suggest why. Post a comment below with your ideas. We live in a risk averse society and we’re constantly being warned about so called ‘dangers’. The vast majority of these risks can be mitigated with some common sense but as the weary cliche reminds us, common sense is not as common as it once was. Injury. While metal detecting is not as risky as scuba diving it’s still advisable to go with a buddy. If one of you twists an ankle stumbling over a root in a remote area where your phone doesn’t work then help is at hand. It could be a long hobble back to the car on your own. Infection. If you’re going to stick your hands into holes that contain all kinds of sharp stones and perhaps metal fragments then it’s advisable to wear sturdy gloves. Scratches from something covered in bacteria are not much fun. Animals. Your out in the country so you should be following the country code and leaving gates as you find them. It’s unlikely that you’ll be given permission to detect on pasture that’s occupied by grazing cattle, but maintain some situational awareness. Look up and around from time to time. You don’t want to be surprised by a curious and clumsy herd or an angry bull. Comments? Post them below. Good luck with your own detecting!